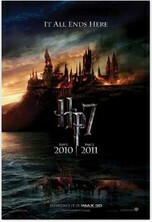 What did you think of the final 2 Harry Potter films? Interestingly, the seventh book Harry Potter and the Deathly Hallows into two parts for the cinema: Harry Potter and the Deathly Hallows - Part 1 (2010) and Harry Potter and the Deathly Hallows -Part 2 (2011). Voldemort's horcruxes. Horcruxes are objects that Lord Voldemort has put his soul in. By doing this, he’s made himself immortal. Examples of Voldemort’s horcruxes include a diary, a ring and a locket. 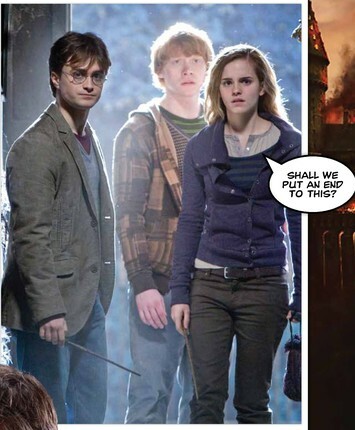 The famous trio will have to destroy all of Voldemort's horcruxes in order to kill him. But first of all, they have to find out what Voldemort’s horcruxes are!